Update 15/12/2016: Beyblade Burst is now out in Australia, starting at $17.99 AUD including Toys 'R' Us. It was about time we got rid of that huge old one about Beyblade: Metal Fusion/Metal Masters/Metal Fury/etc. hah. As you know, Beyblade Burst has started being released in Japan in June 2015 and a new system, Dual Layers, is already set to come out in April 2016. This coincides with the start of the broadcast on April 4th 2016 on TV Tokyo. However, it has been confirmed that Beyblade Burst is selling very well in Japan, so while there were no doubts that the following would eventually happen, this news guarantees that it will be distributed worldwide. 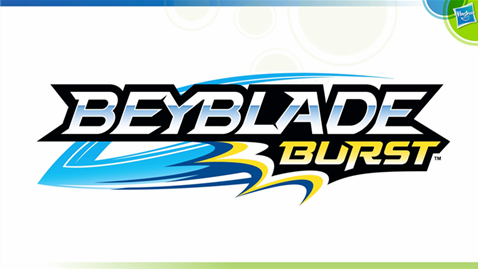 There were rumours that Hasbro had lost the licensing rights for Beyblade, but don't sweat : Hasbro will be the one bringing Beyblade Burst worldwide in 2017, but later in 2016 for North America! Beyblade Burst's major western push will be in 2017, but it sounds like a soft launch is planned for later this year. NEW YORK & TOKYO & PAWTUCKET, R.I.--(BUSINESS WIRE)--Sunrights, Inc. and d-rights, Inc. have joined with global play company Hasbro, Inc. (NASDAQ:HAS) to relaunch the legendary BEYBLADE franchise. Later this year, Hasbro will distribute a new generation of Hasbro BEYBLADE toys in North America, followed by a broader launch in most major international markets in 2017. This third generation of Hasbro toys will be branded BEYBLADE BURST and will feature a dynamic “burst” component, bringing more excitement to the successful battling play pattern. Hasbro’s toys will also include a digital component for certain markets. The BEYBLADE BURST toy range launched in July 2015 in Japan by BEYBLADE originator Tomy Company, Ltd. and is already becoming hugely popular with fans. The new BEYBLADE BURST animated series will begin airing in Japan in April 2016. The BEYBLADE BURST animated series is completely reimagined by production company OLM, with all new characters, stories and dramatic battles. Sunrights, Inc., the fast growing New York based entertainment arm of Japanese production company d-rights, Inc. will handle the distribution of broadcast, non-toy merchandising and promotional rights for BEYBLADE BURST outside of Asia. 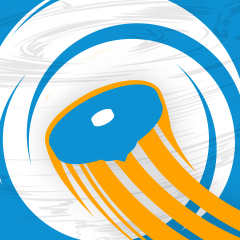 Sunrights, Inc. is actively engaged in placement discussions with major broadcasters for the BEYBLADE BURST animated television series, in both U.S. and international markets. Along with the BEYBLADE BURST toy line and animated series, Sunrights, Inc. expects to announce new partnerships across multiple platforms including broadcast, videogame, and other merchandising relationships later this year. The BEYBLADE franchise was created by Tomy Company, Ltd. as a modern battling top system inspired by traditional Japanese battling tops called "Bei-Goma”. The BEYBLADE brand launched in 1999 and became a global phenomenon with two full generations to date, including seven series, two movies, and three spin off series. The brand has been a massive hit with broadcasters and retailers in over 80 countries. Hasbro was a toy licensee in 1999 and 2008 for the first two generations of the toys. As soon as we have more news about the development of Beyblade Burst outside of Japan, we'll have it right here in no time! It will be interesting to hear how the BeyCloud System gets opened to the rest of the world, because this was a promise TAKARA-TOMY showed during the Beyblade Burst launch press release. Keep all discussions regarding western releases in this thread. This is interesting, I hope Hasbro give it there all. Wonder what a "soft launch" would entail ... looking forward to it! (Feb. 12, 2016 11:53 PM)Bey Brad Wrote: Wonder what a "soft launch" would entail ... looking forward to it! Time to sell my soul to hasbro and hope it's my hometown! 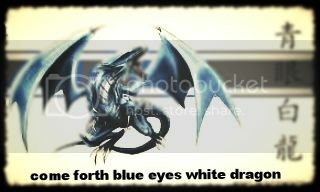 -Vulcan- Wrote: Where did you find that presentation with that slide of the logo, To? I couldn't find it. The logo appears on slides 2 & 10. I'm pretty excited for Beyblade Burst's future. So glad they stuck with Beyblade Burst and not some wacky over the top name like Beyblade Xploderz or something like that. Can't wait to see Beyblade in the States again! That's not how the Force works. Really hoping to see some good spoilers later in the year! I'm very curious to see how Hasbro is going to approach Takara's whole BeyLogger system. Probably the usual Hasbro nonsense of stating a release date and then selling everything a month or two ahead of it so noone notices their slow, gradual stocking and distribution methods. Or whatever it is that keeps happening with Beyblade and Nerf. Can't wait! I was getting pretty tired of the whole "burst sux cause its not metal fight" argument. So maybe this should get more people into burst. Anyway, I'm definitely looking forward to that hype to return to youtube and help the beyblade channels out. I really do not know if the series is ready for a North American launch as early as "later this year", but if the pace gets changed from Hasbro's usual 'batch releases every three months', then I suppose early is better than later. It sounds like the anime will be broadcast dubbed very soon after it starts airing in Japan too ? That probably cancels any hopes of it being on Crunchyroll. This news makes me the happiest Blader on the planet right now. Especially good sine Im ready to start buying again. Its nice to know that Hasbro will be releasing Beyblade Burst later this year. The Sentence that's interests me the most is "Hasbro’s toys will also include a digital component for certain markets." Digital Content ? is it somehow related to Beylogger Thing ? or something else ? Any guesses what it could be related to ? Looking forward towards Hasbro Beyblade Burst Release. Thanks a lot for the Article Kai. that new is just awesome! I hope Hasbro will introduce, as primary release, the non-dual layer burst system. Montréal, Québec, Canada - July 12th 2014 - The Bombdiggity Tournament Limited Format => finished third! Montréal, Québec, Canada - August 16th 2014 - "Notre ami Félix" tournament Zero-G => Finished Second! Montréal, Québec, Canada - October 11th 2014 - QuéBeycois Tournament Standard Format => Finished third! Montréal, Québec, Canada- May 24th 2015 - BeyDays Tournament Standard Format => Finished first! Montréal, Québec, Canada- June 21st 2015 - La St-Jean Go SHOOT! Tournament Zero-G Format => Finished Second! But the reason why it is probable that Hasbro will release the Layers is that this would at least not position Hasbro right on TAKARA-TOMY's tail in terms of products. In the past, we saw that when Hasbro was too close to Japan's own introduction to x item, they had to invent their own side toylines, and nobody really liked that ... Releasing Layers first and then Dual Layers later would slow things down and make us avoid that. Again, no reason to call Layers "non-Dual Layers" : they had a name, just like the Metal System had a name and did not deserve to be "pre-Hybrid Wheel System" hah. Agree that the buffer time between TT > Hasbro seems tight for them to launch Dual Layers this year, but it's also possible they're collaborating more tightly this time.